Diane Hussey, President and Partner of A2 Collaborative, is both a licensed Architect and a NCIDQ certified Interior Designer with over 30 years of experience. While obtaining her Bachelors and Masters degrees in Architecture and Environmental Design at Cal Poly, Pomona, she lectured and taught Architectural design at Cal Poly as well. Dedicating in her career to creating authentic and timeless architecture both outside and inside, she has served as a lead design Architect for William Pereira and Associates, McLarand, Vasquez and Partners, Robert Hidey Architects, and William Hezmalhalch Architects. Her portfolio of experience includes Corporate Architecture, Commercial Office buildings, Hotel Design, Multi-family Housing, Mixed-use Projects, Retail, Senior Housing, Single Family Housing, Church design, Interior Architectural Design, and Master Planning. Diane Hussey’s designs have earned numerous Gold Nugget awards from the Pacific Coast Builder’s Conference, due to her unique attention to detail and authenticity in Design. 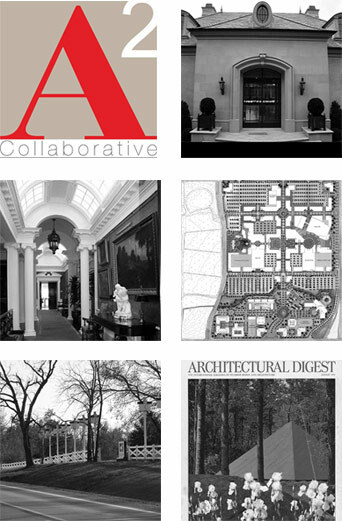 A2 Collaborative is an Architecture, Interiors, Planning, and Landscape Architecture firm founded with one goal in mind, to produce “timeless” fine architecture design, with quality and simple elegance in detailing. Karl Schmidt, Founding Partner of A2 Collaborative, leads the conceptual direction of the firm as Director of Design. Karl began his studies in Art at Graceland University, Iowa. Recognizing his interest and natural talents in both Art and Architecture, he attended the school of Architecture at Cal Poly, Pomona, and also the prestigious Art Center College of Design, in Pasadena. As a unique conceptual designer, he served his 25 year career as a lead designer for Lim, Chang, Rohling Architects, KTGY and WHA, where he has spent most of his career designing Mixed-use, Multi-family housing, Retail and Commercial architecture. His unique conceptual design talents have earned him several Gold nugget awards in Architecture, and created signature architectural imagery for many Clients. His other interests include his development of an “Energy Efficient” housing project called Morgan Farms, published in the mid-west Iowa Biz magazine as a feature “energy efficient” project utilizing wind mills, thermal heating, and energy efficient materials.